As a mother you wish to be as fashionable as you can be for your kids. So, as much as you can, you seek or an adorable gear for your kids. Today, there are tablets, players and portable devices that our kids enjoy to utilize. It is another way for them to learn about the schools. Another fun way to interact with today’s technology. Of course we still need to be very strict on what they are doing. Anyways, I am thankful that I will be reviewing Kidz Gear’s lines of headphone and accessories merchandise. I have a nice Orange headset for my son. It is very fashionable, for it is very light with cool design intended for kids use. It also has a volume control and the earpiece has foam to seal the sounds in both ears so that it won’t hurt the kid’s ears when it uses the headphone for a longer time. My son looks very comfortable and he loves it. I can tell the minute as I took it out and put it on his iPod touch he didn’t react nor want it to be removed. I love how it has a splitter cable so I and my son could both watch a movie in my tablet at the same time. 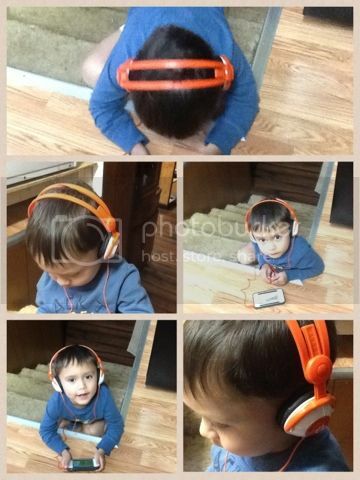 My son can use his headphone and I use mine. The splitter doesn’t have any interrupting noise nor does it have a bad connection. And when my son is done using his headphone, I have a carrying bag where to put all the stuff in. It's safe and bundle in just one bag. 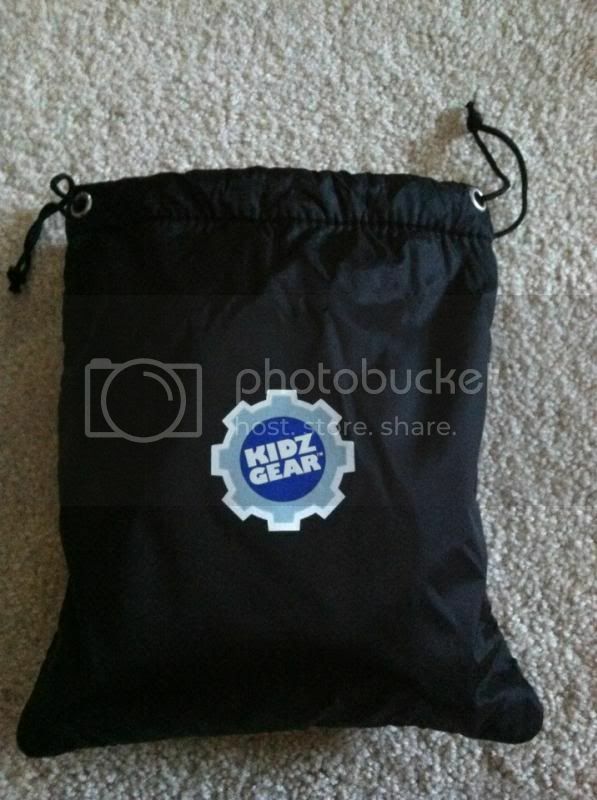 I love how innovative Kid’s Gear is. You should get your kid’s this headphone gear on Kid’s Gear website. They have different kinds of headphone colors which you can choose for your kids. Don’t forget to include the 3.5mm Stereo Headphone Splitter Cable, and the Headphone carries bag too to store and protect your kid’s gear products. Find and like them on Facebook and check out what’s new as well as see more happy and satisfied customers. I am hosting a giveaway on this blog. One lucky reader/follower is going to get one pair of headphone, carry bag, and the Splitter Cable. The same package of products. You must be 18+ years and older. This is only applies for a US resident. I love the colour, my son has just got a bright orange iPad case so these would look fab with it. how cool. :) i love the design and it really looks good and fun for kids. Oh look at the little man enjoying his gear, nice! I don't use headphones nor do I have choildren! I think these are a great product for children. It saves the parent's some sanity from listening to Barney or something. I wish they had this type product available years ago!! Ohh these are cool, think I'll submit some entries. I love all the fun colors. Very helpful to have the splitter cable included! I would love to have either blue or pink. I love those headphones, he looks so adorable! It is...very handy too. keep them from turning the volume so loud. That's okay, sometimes we get something like for free. we can give it out to our niece or nephews. that's what i always do. makes them happy. We are looking for good looking and study headphones. Hope we win! My son likes the Green headphone. Cute gear when they like to listen music and play games in the computer. I think I left my comment in the answer box instead of my name? awesome giveaway I like these!! These look awesome! Would love to have a pair for when the littler kids come over! I liked the color and I am glad that, there are quality headphones for kids! Those are so cute my son will love them. Thank you for the giveaway. I want these for my boys!!! I would chose the blue or the orange! They are all cute though! I would get the blue ones for my son. He so needs these. He is Autistic and ALWAYS has the volume blasting. Joined! Great colors that you choose in there Novs. I got green and blue :-) Good luck to all. Entered and hoping to win!! :) thanks for sharing this great giveaway!! I bought my kids each of this head phone at the middle of the school year as they needed it in computer class. It would be nice to get them as a prize to be able to use it next school year. Chaos looks so adorable with his headphones Novs, so stylish!! I would chose blue or orange! Pink for my little one! Thank you. The headphone is gonna look real cool on kids plus they'll love the color. I would pick the orange ones! I would really love that for my son! haha Too bad I can't join the giveaway :D It is nice to have cool gear for kids to really love. This is really something new, headset for kids!! Definitely a cool way to enjoy their kind of music. I would love to win the green color for my little one. It sure looks great on your little man Mommy Novz. Great! I love the kiddie headset ! Sad I can'y join, I'm under 18 huhu! To win this would be really nice. My daughter would love this. My kids would love the orange one! My Nieces would love this headphones!